Futaba 10J 2.4GHz Transmitter - Everything from Soup to Nuts! 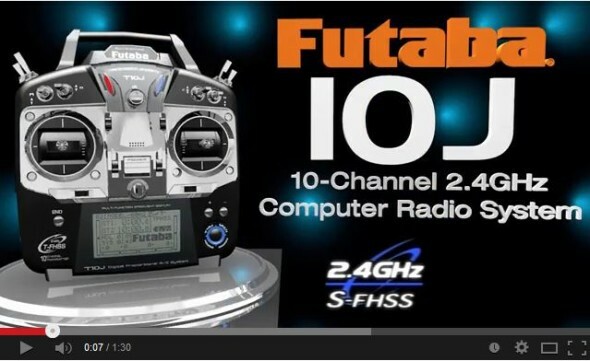 Home » New Release » Futaba 10J 2.4GHz Transmitter – Everything from Soup to Nuts! Futaba 10J 2.4GHz Transmitter – Everything from Soup to Nuts! Well, we sure hope everyone is coming to Toledo next week because you’re all going to want to get your hands on this one! The new Futaba 10J has more functions than you can imagine: 30 model memory, telemetry, programmable mixing, a built-in S.Bus servo programmer just to name a few. You have to click the link to see it all but trust us – you’re going to love it! Oh, and check the price tag. Better be sitting down when you do!